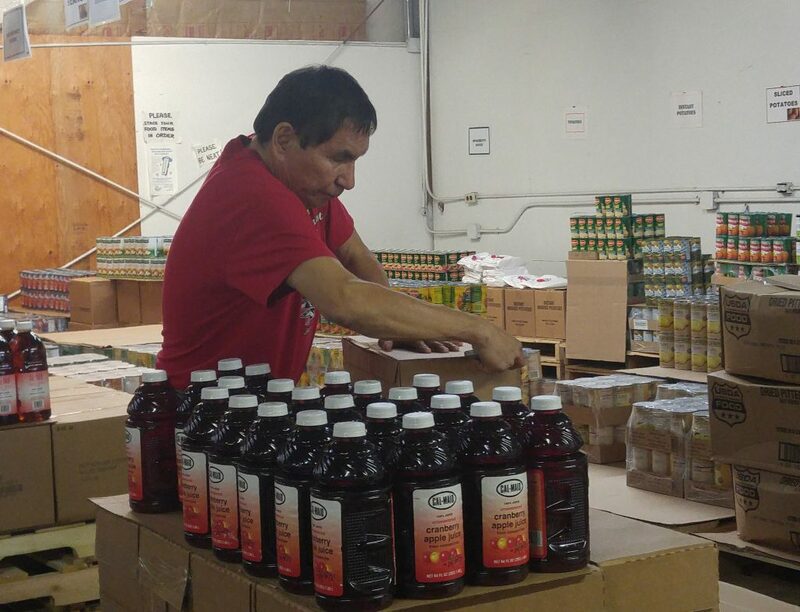 HRDC operates the Food Distribution Program on Indian Reservations in Hardin, serving the Crow Reservation, providing a variety of healthy and nutritious foods from canned fruits and vegetables to dry goods, frozen meats and fresh produce. Who is eligible for commodities? All low income enrolled tribal members living on or near the Crow reservation are eligible for commodities. Also, low income non-enrolled tribal members and non-native people living on the reservation are eligible. Verification of wages for the last 30 days (wage stubs, unemployment statement, or social security statement). Applications are available at the Hardin office. If you are unable to visit the office, please call and we can mail one to you. Once an application is received, we will determine eligibility within 7 working days. Food is provided monthly, however arrangements may be made if necessary to pick up food more often. I receive SNAP. Am I eligible for commodities? No. A household is not allowed to participate in the Supplemental Nutritional Assistance Program (SNAP) and the Commodities program at the same time. I receive WIC. Am I eligible for commodities? If I am not approved for commodities, where can I go for food? Food banks and food pantries are available to low-income individuals throughout Montana. Click here to find the one nearest you.